UIS Pet Insurance is the registered trading name of Ultimate Insurance Solutions Limited and it is based in Portsmouth. In the welcome text on its website it says Ulitmate underwrites the policies but at the bottom of the site it says policies are underwritten by Zenith Insurance Plc. It covers cats and dogs and says that insurance claims are processed by qualified veterinary nurses, which should mean they have a good understanding of your pet's accident or illness. Find out if UIS Pet Insurance made it into our list of the best pet insurance companies. UIS Pet Insurance offers four levels of pet insurance – Crystal, Pearl, Ruby and Diamond. All policies have a £99 excess fee. Crystal is an accident-only policy and offers up to £1,000 of vet fee cover. That includes £500 of cover for CT and MRI scans and the same amount for cruciate ligaments. Pearl is a 12-month time-limited policy that has a £2,000 vet fee limit for accidents and illness. Ruby is a lifetime policy with a £2,500 vet fee limit. Diamond is a lifetime policy and has a £4,000 limit for vet fees. You can learn more about what we mean by time-limited and lifetime policies with our pet insurance FAQs. All UIS's policies include cover for CT and MRI scans, and cruciate ligaments, which can be useful because some pet insurers exclude things like cruciate ligament claims from their policies. However, its top vet fee limit of £4,000 from the Diamond policy is much lower than some other pet insurers. There are a number of companies who offer over £10,000 of vet fees as part of their lifetime policies. Find out more about the cover offered by other companies by reading our guide to the best pet insurance for dogs. UIS customers get access to a UK 24 hour vet advice line, as well as a claims line, Find a Pet Sitter line and a Find a Vet line. UIS does not cover pre-existing medical conditions, find out more about companies that do here. How much does pet insurance cover from UIS Pet Insurance cost? Customers can pay UIS in instalments with no interest. It is important to note that after the pet has reached the age of 8, owners will have to pay 15% of any treatment costs, in addition to premiums. UIS charges a £99 excess on all claims. What do UIS Pet Insurance reviews from the experts say? Independent financial researcher Defaqto has rated UIS Diamond Pet Insurance policy as 4 Star, its Pearl and Ruby policies as 3 Star and its Crystal policy as 2 Star. A 4 Star rated policy has “a good level of features and benefits”, a 3 Star rated policy has “an average level of features and benefits” and a 2 Star policy has “a below average range of features and benefits”. 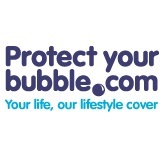 Or join our pet insurance group to find out about our unique policies. 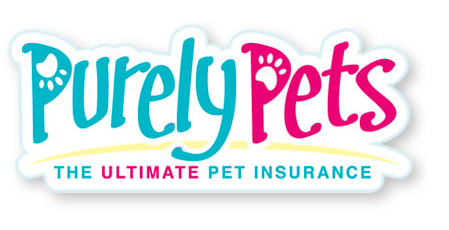 Learn about the features of pet insurance from Purely Pets and whether it's right for you. Learn about the features of pet insurance from Paws and Claws and whether it's right for you.